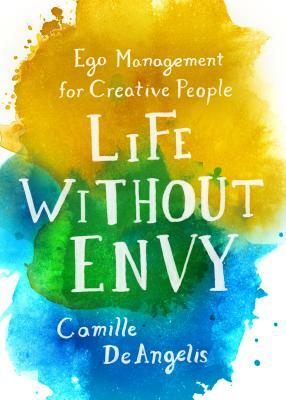 Life Without Envy by Camille DeAngelis is a game-changer for artists of all stripes: a practical guide for navigating the feelings of jealousy, frustration, and inadequacy we all experience to create a happy life regardless of how your career is (or isn’t) going. In these pages you'll find strategies for escaping the negative feedback loop you get stuck in whenever you compare yourself to your fellow artists. You'll begin to resolve your hunger for recognition, shifting your mindset from “proving yourself” to making a contribution and becoming part of a supportive creative community. Best of all, you'll come to understand that your worth—as an artist and a human being—has nothing to do with how your work is received in the wider world. Life Without Envy offers a blueprint for real and lasting contentment no matter what setback you’re weathering in your creative life. “Camille could have titled this book Life with Sanity. Indispensable for anyone who's ever obsessed about the achievements of other people (I've never personally experienced this but I've been told it happens). Read it and choose happiness.” —Dylan Kidd, director of Roger Dodger and P.S.